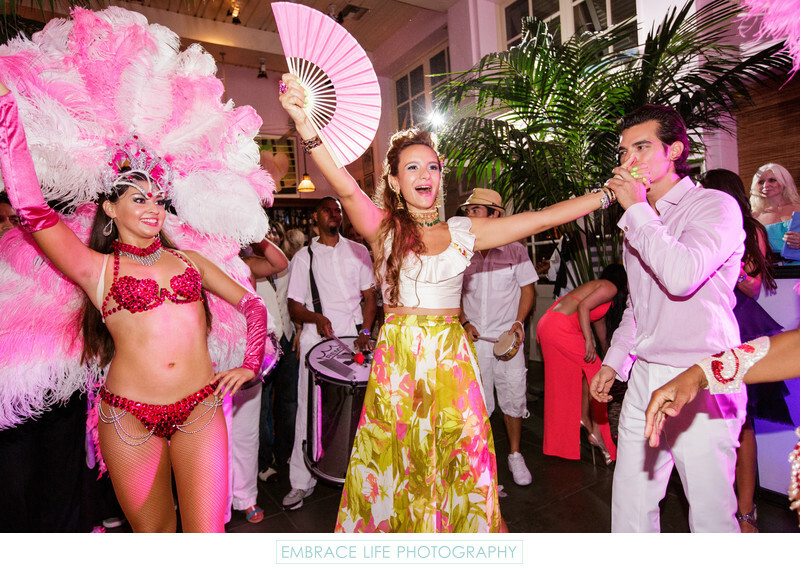 In celebration of their upcoming wedding, and the bride-to-be's Venezuelan heritage, this fun-loving couple's wedding rehearsal dinner party in Santa Monica at Ivy at the Shore was full of life thanks to performances by samba dancers in carnival costumes and accompanying percussionists. Los Angeles event photographer, Embrace Life Photography, captures the intended fun and details of the event and had the pleasure of photographing the wedding at The Viceroy Santa Monica. Location: 1535 Ocean Ave, Santa Monica, CA 90401.